This is an old cropped photo of a lizard in Jamaica. It was taken with my first digital camera, a Casio EX-Z3. I do not know if this type of lizard is a herbivore, carnivore or omnivore. Please leave a comment if you know. The original image had a low resolution and was heavily compressed. Not much good for anything except it did have good outline of the lizard on a plain background. I started by doubling the resolution of the image. Normally this would not get you anywhere but then I used Fractalius which effectively redraws the image with new detail. 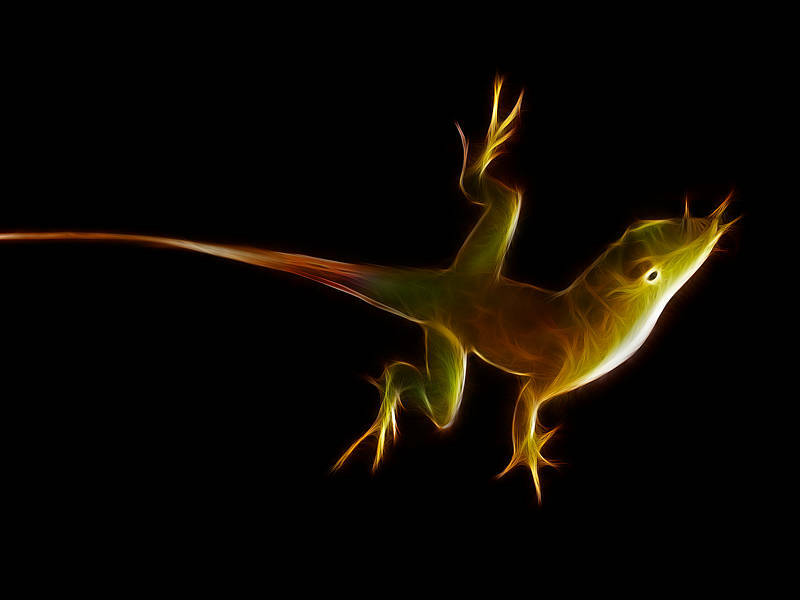 I ran it several times to get the different parts of the lizard to look right. I then used masks on each layer to build up the final image.